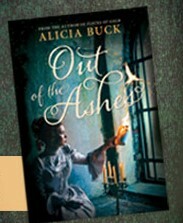 Out of the Ashes is inspired by the Cinderella story. I must make a very bold statement: I like Out of the Ashes much better. As beautiful as Cinderella is, it truly pales in comparison to the heart, fun, despair, love story, and magic of Out of the Ashes. This book quenched my thirst, and I couldn’t stop drinking. I hated each time I had to put it down. Because this book is based on Cinderella, we all know the ending: she marries the prince. Though I knew that while reading, the book was never predictable, and was full of excitement, mischief, danger, and some of the most intense romantic chemistry and tension I have ever read. Ashelandra is a character that you wish could be your best friend in real life. She is strong-willed, adventurous, mischievous, silly, compassionate, humble, and self-sacrificing all in one. She is complex, and so likable, even though many characters in the story don’t trust her, like her, or treat her well. Her circumstances damage her physically, but she never loses her spark, determination, and wit. She is the heroine of the story. No fairy godmother is necessary. She is not the only strong and likable character, though. Prince Phillip is just as dynamic as Ash, and just as strong and likeable. He is also a true hero in the book. There are so many characters in the book that will either have you laughing, throwing up in your mouth, smiling adoringly, rolling your eyes, or squinting in confusion. Villains can be found in this story too. Rather than an evil stepmother, there is an evil uncle. I can’t think of a character without magical characteristics more vile, heartless, and self-serving than Lord Richard. He is truly despicable, and not even Ash, a sorceress in training, can save herself from his grasp. Did I not mention magic? Sorcery makes this book intriguing, hilarious, and dangerous too. Themes of racism regarding sorcerers are woven into the book, and will resonate to modern disunity. Ash is not the only sorcerer. There is another, Sorcerer Tioroso, one who we can’t be sure is good or evil. His actions spearhead a dangerous journey – a journey that brings Ashelandra and Prince Phillip together. For me, the most brilliant parts of the book were scenes with Prince Phillip and Ash during this journey. You could feel their attraction for each other, and how hard they tried to resist it. The chemistry was undeniable, and was enough to make you feel you were there experiencing it yourself. It was enough to make one giddy, almost bursting with excitement. I really want to see this book as a movie. It would be difficult to recreate the spells and the magical land of Ketskatoret, but I am sure it could be done so that viewers feel the uncertainty, fear, and even beauty within. I think this book will appeal more to women, but there is plenty of action, danger and intrigue for men too. Bottom line: Buy this book, and read it again and again!!! !